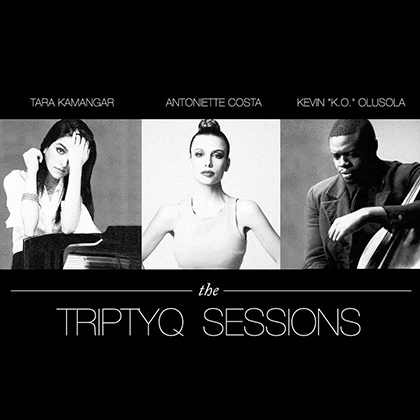 Singer-songwriter Antoniette Costa has teamed up with Kevin “KO” Olusola (cellist-beatboxer/Pentatonix/ composer) and Tara Kamangar (pianist/violinist/composer) to form the trio Triptyq- a classical hip hop project. Inspired by the novel "Rebecca" by Daphne Du Maurier. Song written by Antoniette Costa features cellist beatboxer Kevin "K.O." Olusola and classical pianist Tara Kamangar. Video directed by Eduardo Gonzalez & Raghul Sridharan. A.C. and K.O. duet on Antoniette's original song "Void of a Legend." Watch celloboxing meet soulful vocals. Video directed by Raghul Sridharan.